I’m back already with more tea! 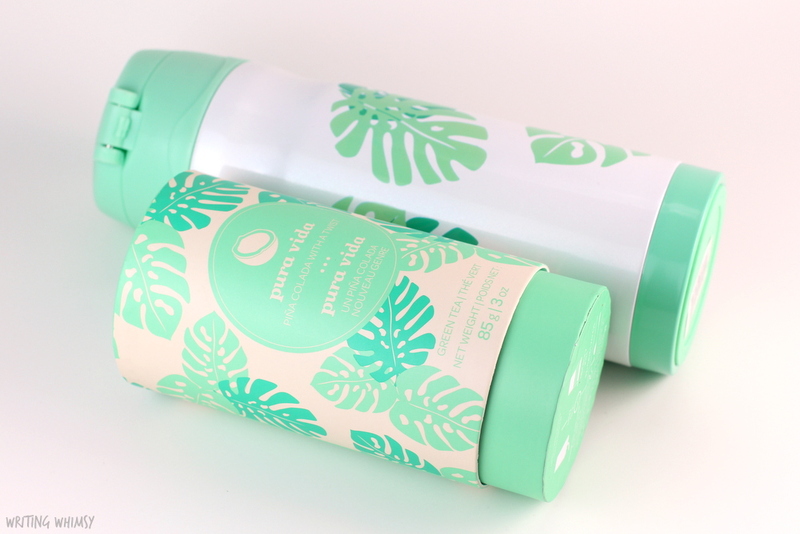 In addition to the delicious, herbal Luscious Watermelon and Mango Fruit Punch options I reviewed recently, DAVIDsTEA launched a few more teas and teaware for summer. 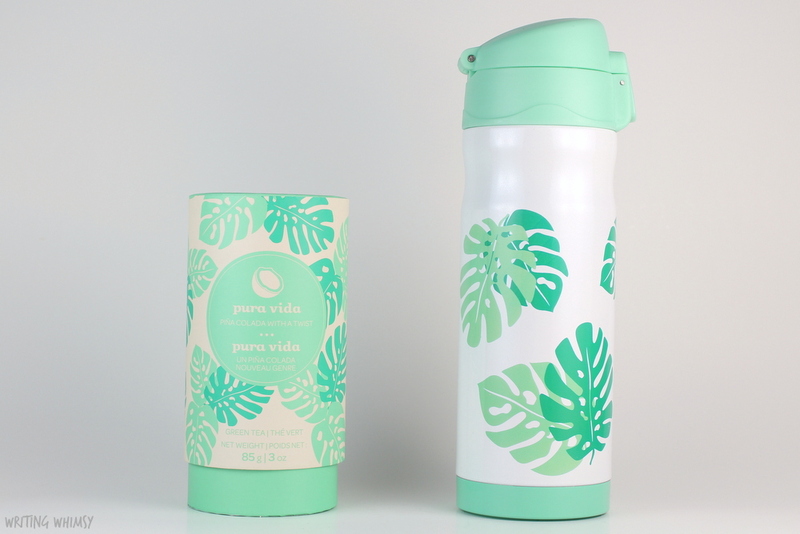 Today’s post features the DAVIDsTEA Pura Vida Tea as well as a closer look at the gorgeous DAVIDsTEA Seafoam Green Lock Top Travel Mug. 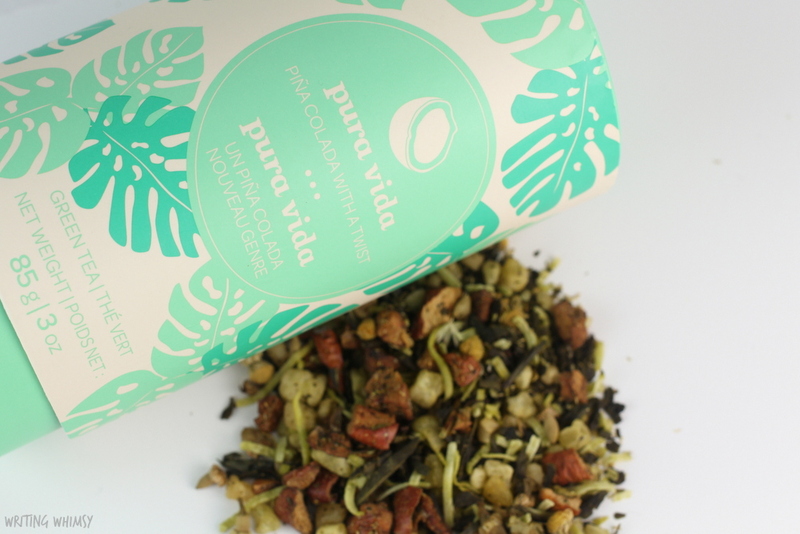 DAVIDsTEA Pura Vida is green tea that includes tropical ingredients like pineapple and coconut as well as apple, mango, and chamomile as well as natural flavouring. It’s definitely a Pina Colada in a tea, with a smoothness to the tea as well as a nice fruitiness that works well even when the tea is served warm. I think this would be a great iced tea as well, since those are perfect summer flavours. I’m not a big coconut fan so I actually find the Pina Colada scent distracting even if I like the flavour, but if the flavours sound appealing to you, I definitely recommend trying it out! 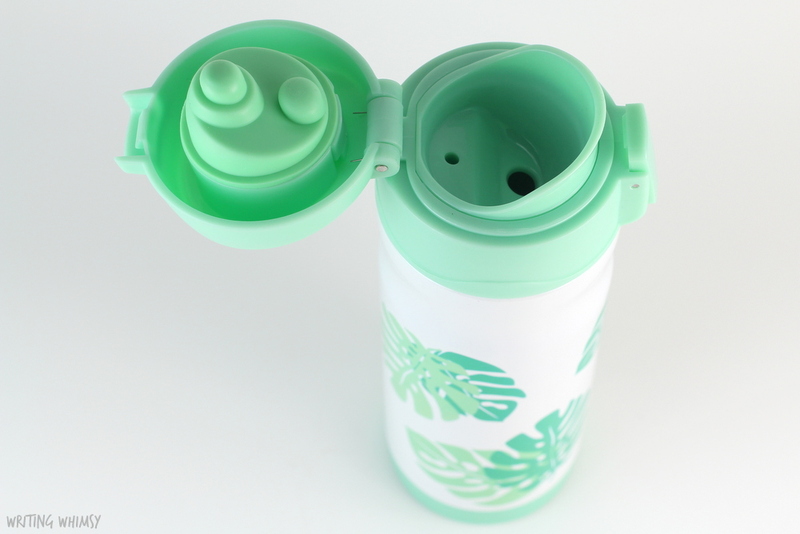 To carry around your tea you’ll definitely need the matching DAVIDsTEA Seafoam Green Lock Top Travel Mug. 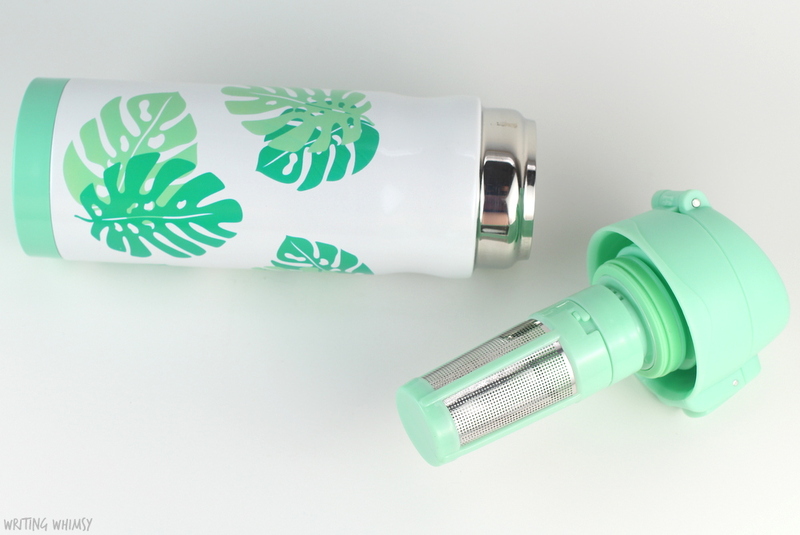 I first tried out this Lock Top Travel Mug format in the Fall and I fell in love. It keeps your tea hot overnight! The Lock feature is very secure, and it’s super easy to brew your tea on the go. 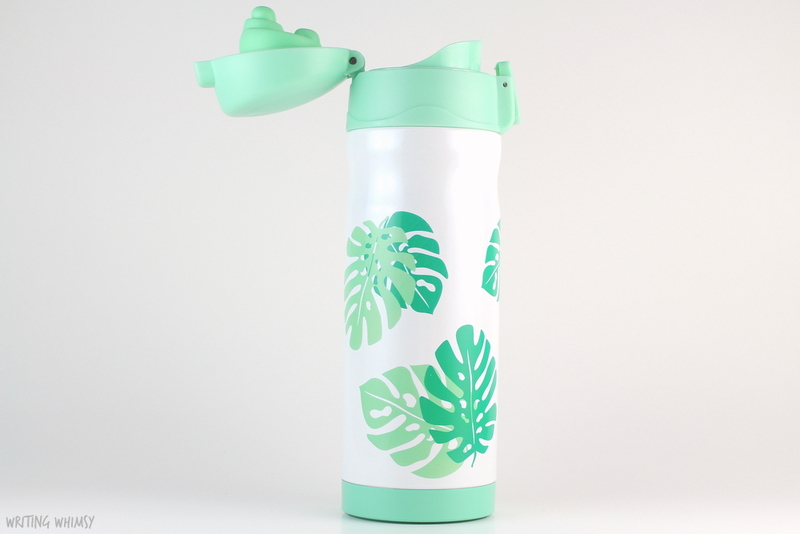 I love the summery green and white print! 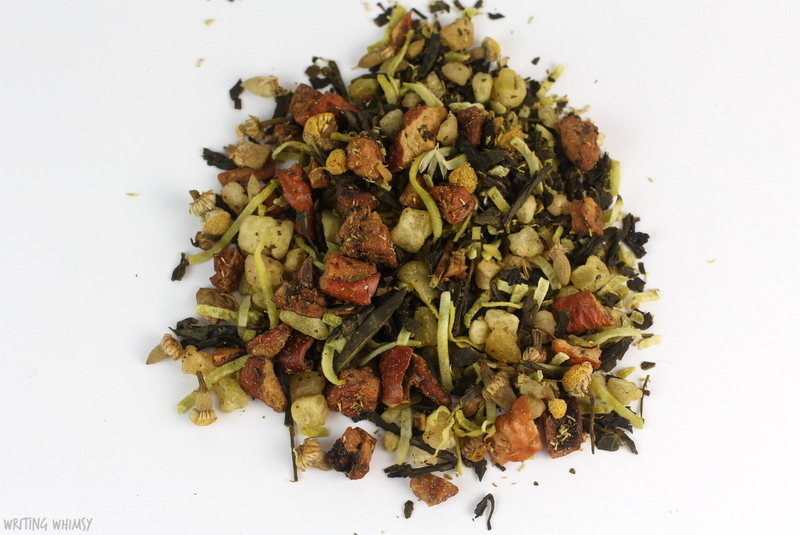 Do you have a favourite tea for summer? The Summer Collections are always my favourite for iced tea options from DAVIDsTEA.